Even as a young girl not yet out of high school, I have always had a passion for helping the elderly. My paternal grandmother had a stroke and was unable to use her left arm and leg. I’d spend time with her so that my grandfather could take a break and get out of the house. By the time Grandpa got back from shopping and his typical stop for a “shot” at the corner bar, I had Grandma bathed and looking all pretty. And then they both would enjoy a simple dinner I prepared. Grandma and Grandpa both died in 1982, both at the age of 80. I never met my maternal grandfather. He died in 1956, many years before I was even born. Yet I was fortunate to be extremely close with my maternal grandmother until 2008. She lived to be almost 103 years old! Over the years and in between a couple long-term “corporate” jobs, I became a certified home health aide. I realized very early on that working with the elderly was something that I truly enjoyed. There is nothing more satisfying to me than enhancing someone’s quality of life. 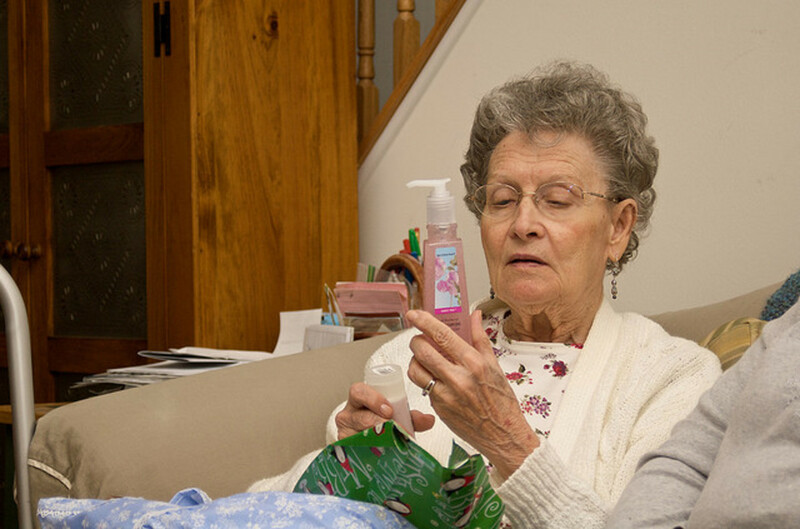 Many people are struggling to come up with gift ideas for the elderly in their lives. Whoever the senior is in your life; whether it is your parent, grandparent, other relative, friend or neighbor, everyone enjoys receiving a thoughtful gift. Here are some of my unique gift ideas. Although a retired person may not need an alarm clock, they do appreciate a clock that has extra large, bright digital numbers. I found an alarm clock with a 4-inch number display at Big Lots for under $15. It’s a great idea for someone who is visually impaired. And the display is bright enough that it also kind of acts as a nightlight. In addition, nightlights may be a great idea, especially when it comes to safety. Many seniors are lonely. Joe, one of my current seniors, does not watch television. His livelihood is sitting in his favorite chair in front of the picture window in the living room and watching any activity that may be happening on his street. I placed a bird feeder on a tall shepherd's hook right outside his window. It is entertainment for him. When visitors stop by, he always talks about the different kinds of birds that came to visit. And somehow I believe that he does not feel as alone when his feathered friends are nearby. Note: Make sure that someone else is available to fill the feeder if the elderly person is unable to do so. As we age and our circulation changes in our body, we often feel cold, especially our hands and feet. Many years ago, I bought my Grandma a pair of bright orange soft gloves. Not for use outdoors. She wore these gloves to bed every night. Recently, I got Joe to start wearing gloves inside the house because his hands are always cold. I noticed he wears them to bed, too. Specialized socks or slippers that feature non-slip bottoms are a great gift idea. Any item that will keep you warm and safe from falls is always appreciated. I have found that many elderly like to look at cards they have received – over and over. And they love photos that remind them of special people in their lives. Little notes/cards given all year long can be very special and a constant reminder that they are thought of and loved. Many elderly people are unable to remember what day it is, what year it is, what season and so on. An easily readable calendar may help them not feel as lost and confused. Attach a pen so that days gone by can be checked off. Why not get them a unique walking stick or what is called a “hiking stick.” Even simply calling it a “walking stick” or “hiking stick” will enhance the chances of its use. Who doesn’t love receiving a soft, warm blanket as a gift? For the elderly, I recommend staying away from blankets that may be too big to avoid trips and falls. A lap blanket, approximately 5 feet long by 3 1/2 feet wide is a great size. 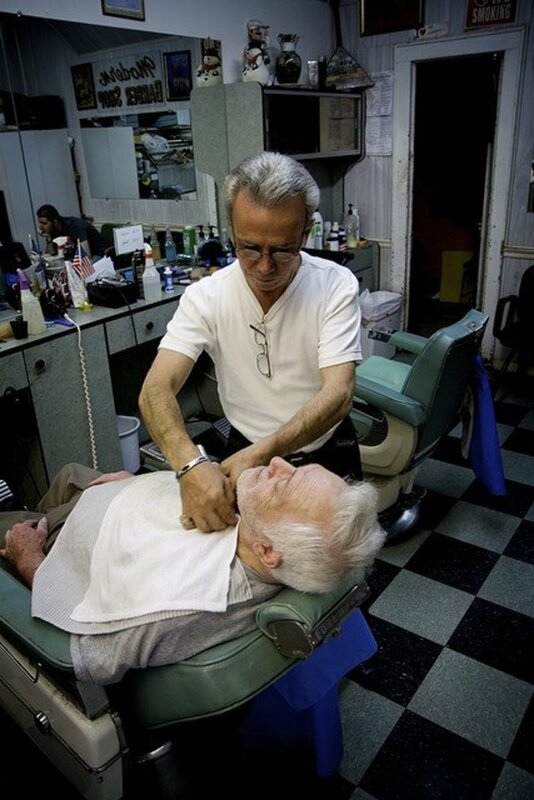 Many seniors live on a fixed income with rarely any extra money to spare. 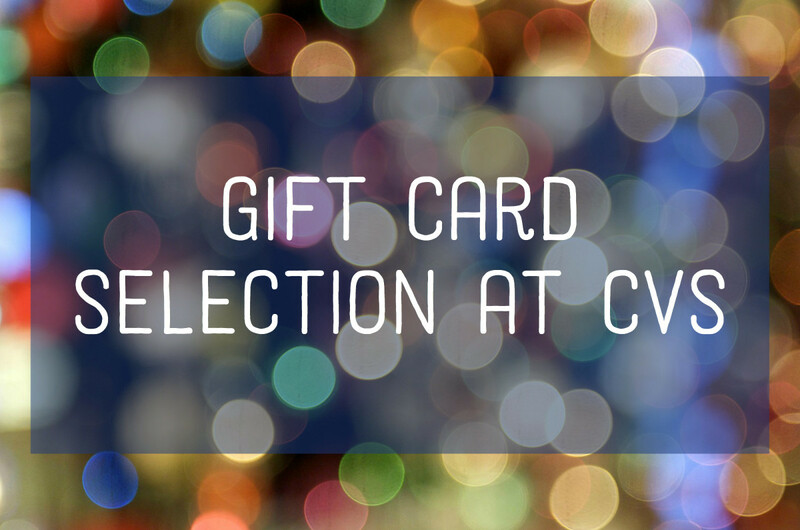 Give them a gift certificate to their favorite beautician/barber for a little pampering. And an extra nice gesture would be to offer to drive them to their appointment too. Safety, for the elderly especially, is so important. Make sure they have working smoke/fire and carbon monoxide detectors. If they are hard of hearing, make sure they have special devices that have flashing lights too. If they already have these important detectors, buy some batteries for them and make sure they are all in working order. 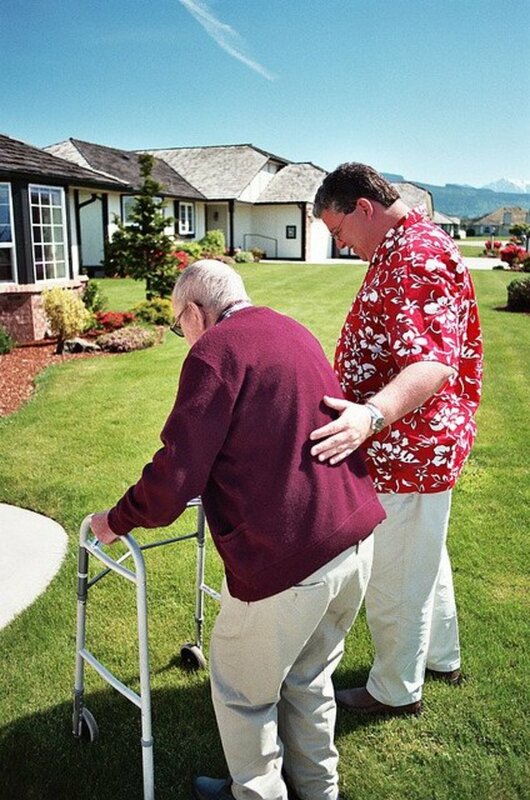 Many elderly people, especially those living alone, tend to have a fear of needing help and not being able to get it. There are many choices of medical alert systems to help them continue to live independently. The options are very reasonably priced for the sense of safety and security received. One of the most difficult things I have found working with the elderly is when they are unable to continue doing something they love. It’s a difficult transition. I watched my Grandma deeply miss her gardening. And more recently, the energy just isn’t there for my Father to continue his huge garden like he used to. Giving the gift of an indoor garden may be just what they need. Just this week, my father received an early Christmas present from my sister. She gave him a complete indoor mushroom garden. It’s something that my Dad can easily do indoors, something he can take care of daily, and reap the rewards. There are many things that can be grown in an indoor garden. Be creative. Even if it is simple house plants, having the feeling of taking care of something can be rewarding. Many people have a difficult time seeing the buttons on a remote control. In addition, those who have arthritis in their hands may find it difficult to press the small buttons. A universal remote control with large buttons may be exactly what they need. Many elderly people are lonely and seldom touched. A helping hand, a kiss on the cheek, a heartfelt hug . . . could mean more than any gadget you buy at the store. YOUR TIME. Giving the gift of your time can be the best gift choice of all. Spend time with the elderly in your life. Sit and talk and reminisce. Help them clean the house or fix up their yard. Take a little time to cook for them and make sure they are eating properly. Offer to take them to a doctor's appointment. Call them on the phone just to check in. The best gift just might very well be YOURSELF. No Matter How Old We Are, We ALL Need A Reason To Get Up In The Morning! Thank you for such awesome feedback. Happy Holidays! Thanks for sharing this content loaded with fruitful information. As Christmas is fast approaching and choosing gifts for your elderly parents, senior family members or friends can be tricky because you need thoughtful gifts for them. These gifts could be supportive enough to boost senior care by improving their overall health, safety, comfort, and independence. How incredibly amazing. What a great job playing those drums and singing a tune. Thank you much Peg for the wonderful feedback! Happy Holidays to you! Glad you like them, thank YOU Martie! Happy Holidays! Back to remind myself of these wonderful ideas for the seniors in our lives. You have some really helpful suggestions and ideas. Sharing this. 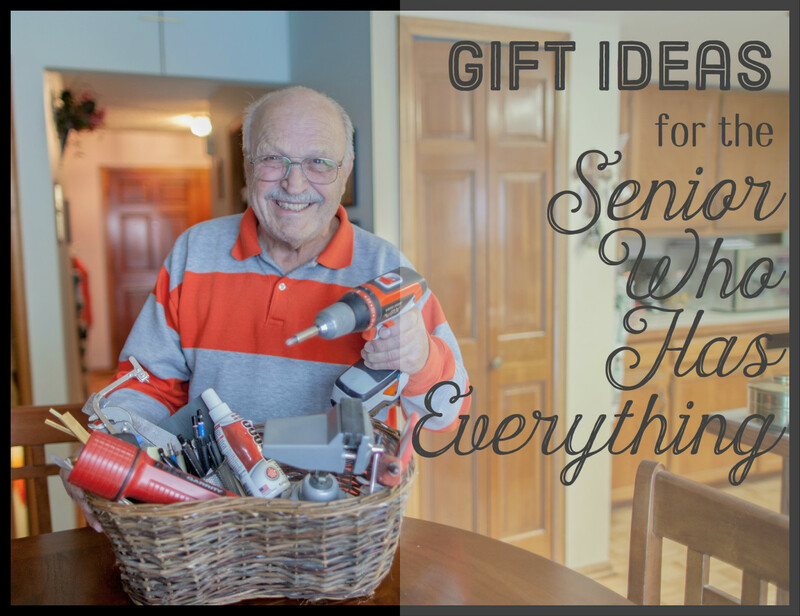 Fabulous gift ideas for seniors, thank you, Sharyn! Hi CrisSp ~ I'm so glad you like these ideas and enjoyed my personal story as well. Thank you so much for stopping by! Great tips and ideas. I very much appreciate that it comes along with your own personal story. What a beautiful story and great gift giving ideas for seniors. I loved reading about your experiences in caring for your Grandmother and it's clear that you have a passion for helping the elderly. Thanks for all you do for these wonderful people. Hi Samita ~ Thank you so much for your compliments. Great ideas! These will really help a lot of people...thank you for this Hub! Hello TTC ~ yes, I did carefully choose these gifts for the elderly. There are many things that would make great gifts that would enhance their lives. Thank you so much for taking the time to read and comment. I can tell that these gifts were carefully written. I especially like the grip socks which are perfect for my Grandma who has taken a couple falls in the last year. Hi Joseph ~ the calendar is a great idea. Sounds like she also needs to have a daily pill holder too. Thanks for stopping by again and good luck. Yes you are right, I always feels whenever I need to buy any gift for my mother, her memory is not so good now and she normaly forgets about to take her dose of medicine. I usually feels worried about her. By your great ideas, i think Large Print Calender will help me to solve my problem and help my mother to remember their doses. Hi Joseph ~ thank you so much for your kind feedback. Many people struggle with what to buy for someone in their life who is older. I hope this article gives you some great ideas. Amazing ideas! 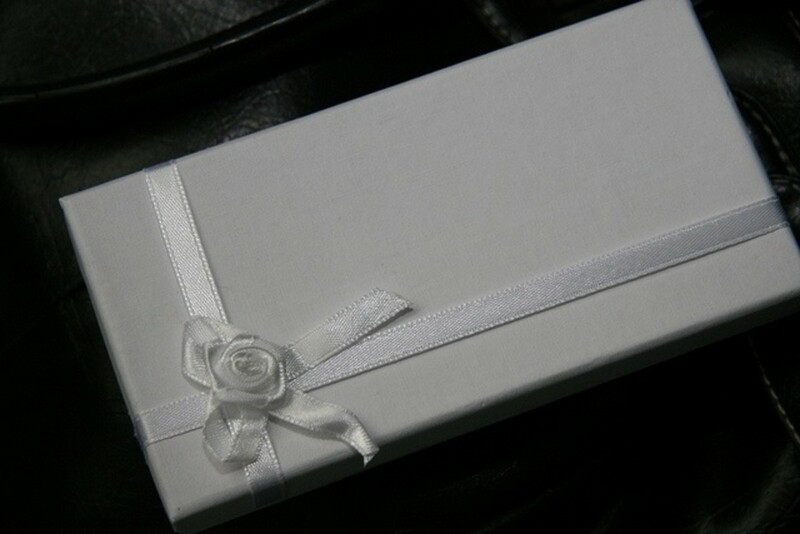 all these suggestions can help easily to decide that what to gift them on any special occasion. Thanks once again to share these kind of great ideas. Hi Kathy ~ Thanks for your feedback. I'm glad you liked these ideas. I hope you have a beautiful holiday! Hi Your Cousins ~ Yes, a "reacher-grabber" is also a great idea. I'm glad you liked these ideas and appreciate your feedback. Thank you so much. Happy holidays! Hi CC ~ Aww, thanks! So happy to hear your Mil likes the large-button remote controls. They can make life so much easier. Thank you so much for stopping by. Hope you are enjoying this holiday season. Hello iviskei ~ I really do love spending time and taking care of the elderly. 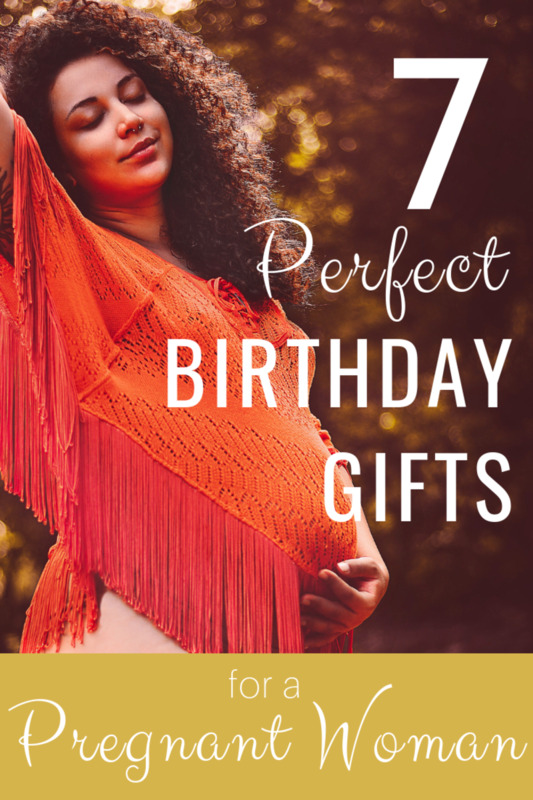 I am so glad that this article gave you some ideas for gifts for your grandmother. Best wishes for a wonderful holiday. 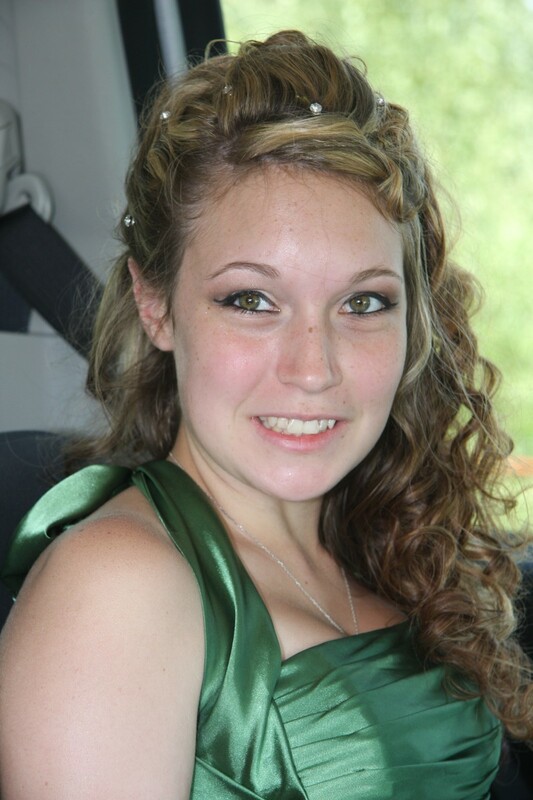 Hi Maralexa ~ it is so nice to meet you and thank you for the follow. I truly believe that a gift of "ourselves" is the best gift of all. I apologize for it taking me so long to comment. It's been a very busy week. I appreciate you stopping by. Hope you are enjoying this holiday season. These are all great ideas. I particularly like the suggestions of the gift card with a note and the gift of your time. 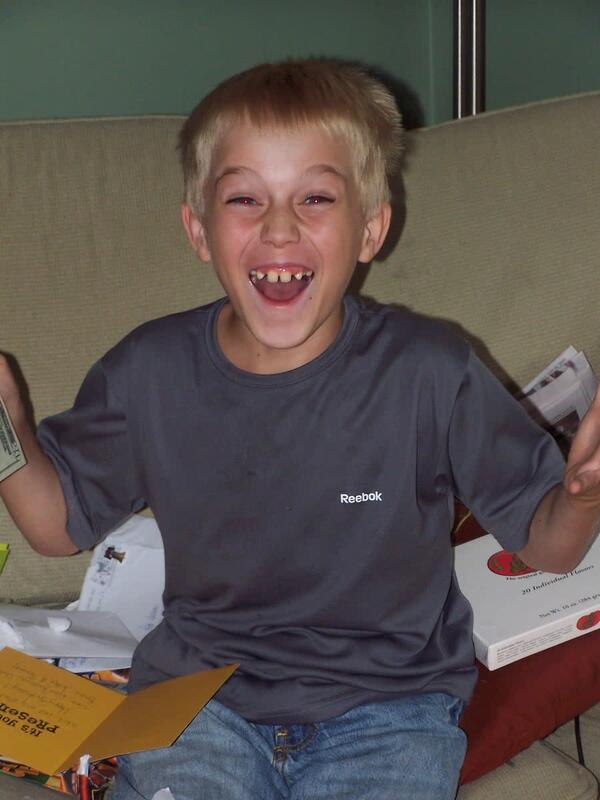 Thanks for all of the wonderful gift suggestions! Great ideas for Christmas. I may pick up on one or two for some of my relatives, especially the indoor garden....and MY TIME. Also, let me add the "Reacher-Grabber," to help them reach things on shelves or that have fallen on the floor. Hi Sharyn - your "slant" on what to give to seniors is truly heartwarming! 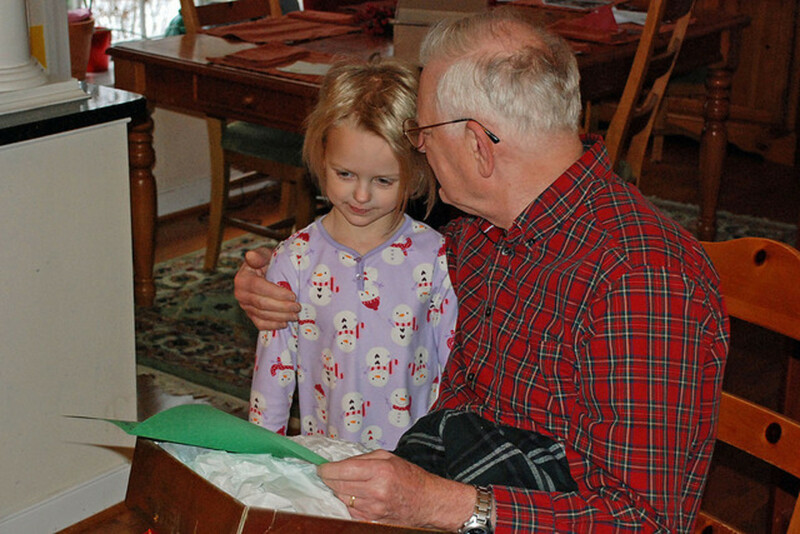 It is so true that a thoughtful gift and/or a gift of ourselves is so appreciated by our friends and family of any age. But when you are a little older, some of your suggestions make all the difference in the world! Thank you so much for writing this fine article. You have a new fan and follower. Hi Jeannie ~ great to see you, how are ya? I'm so glad you appreciated these gift ideas. I hope you get all that you wish for this Christmas. Thanks for stopping by. What a wonderful hub full of great gift ideas! This has been very helpful. Thanks so much for sharing these ideas! Hi Angela ~ I appreciate you stopping by. Thanks! Hello Vibz ~ nice to meet you. Thank you for your kind words. I'm so happy you found this article inspiring. I appreciate the follow too. Hey, this is so nice, here in India, we are taught from childhood to respect elders and parents. The article is inspiring and it makes me emotional. Well done and looking forward to you! Hello allelsematters ~ great to meet you. I'm glad you like this list and it gives you ideas for a gift for your aunt. Thanks so much for stopping by. Hello Yarham ~ great to meet you. I always loved helping my grandparents even as a young child. To me, it's what families do. I am so glad you found this article inspirational. Thank you so much for stopping by. Hi Sunnie ~ I'm so glad you liked these ideas. An electric lap blanket is a great gift. I think it's important that the blanket is not bulky and something they can easily trip on. I know you get that :) Thanks so much for your feedback. Hope you are enjoying your new granddaughter! I love this hub Sharon and such great ideas. We bought my parents a small electric blanket for the lap last Christmas and they have loved it. It is not bulky and easy to fold. I love your ideas. Thank you for sharing. Hi Jule ~ I appreciate you stopping by. Thank you! Hi Wabash Annie ~ thanks so much for stopping by to read comment. Glad you liked this ideas! thank u for sharing this info. Just read your hub ... what great ideas you listed. Thanks much! I have got lots of ideas from this hub and i must buy some special gifts like this for my Home care peoples. Hi SG ~ awww, thank you. And I am so glad you got some great ideas for your father in law. I appreciate you stopping by. Have a great weekend! Hi Blairtracy ~ thank you so much for your feedback. I appreciate you stopping by. Very interesting and unique hub! I especially liked the last part. Hi Bev ~ Thanks for your compliments. Yes, simple human contact is so important. I appreciate your feedback and votes. Hi Penelope ~ such sweet comments. Thank so much for stopping by. This is lovely! Really nice suggestions for the material gifts, but more importantly, impressing the need for simple human contact. Voted up, etc. Hello whalefeather2 ~ thanks for your compliments. I appreciate you stopping by. What wonderful ideas...thank you for sharing them. Blessed365 ~ I appreciate you stopping by to read and comment. Have a wonderful weekend! Hi Denise ~ aww, thank you for the applause. So glad you enjoyed the video. I like your ideas for additional gifts too. And also, thank you for mentioning the history that I shared. I was blessed with my grandparents for sure. Especially the fact that I had my one grandmother until I was well into my 40's. It was amazing that she was almost 103 years old. I won't live that long - I've already made many mistakes that she never did :) Thank you for such wonderful comments and sharing this as well! These are great ideas and I absolutely LOVE the video. Doing a life story like this video is also a fantastic gift idea. We had a professional videographer do one of my grandmother and it was fabulous - a great way to honor a senior's life and preserve memories for generations to come. My grandmother had a wonderful time being interviewed for the video. Hello KDuBarry03 ~ Great to meet you! That is so cool about having your grandma spend a week with your family for the holidays. What a special gift of time that cannot be replaced with any sort of material gift. That's a great tradition that I hope continues in your family for generations to come. Thanks so much for your great feedback. Hi Sharyn. Oh, my goodness: "APPLAUSE, APPLAUSE" for that wonderful video! WOW that put a huge smile on my face! Your list of appropriate, useful and choice gifts for the elderly is awesome! I think you've covered almost every area...how about the 'jar' gripper-manuel or electric, and the 'extension' to reach things on top shelves? I love the history you shared here about your own grandparents and the relationship you had with them. They were so blessed to have you to assist and YOU were so blessed to have the interest and desire in your heart to do this. Most young people, not to mention teens, avoid contact with the elderly, for whatever their reasons: fear, intimidation, lack of confidence, etc. They are not 'exposed' to helping the elderly, as a normal part of life because of our disconnections within the family system, so they miss those opportunities. Then, they grow up in a 'youth centered' society thinking that the geriatric population is a bother and nuisance. Your grandparents (all three) lived long lives-ESP your maternal grandmother. Holy cow! Maybe you will beat her, haha. Wonderful hub & ideas, Sharyn! You have such a big heart! My grandparents are not doing well right now (Grandpa has had 2 emergency surgeries in the last 2 weeks, and Grandma is starting to develop dementia & requires 24/7 care). I wish that I'd taken advantage of ideas such as these in the past, and hope that I can in the future! :) Life is too short for regrets! Voted up, useful, interesting, tweeted, & shared! Wow, these are all great gifts! The greatest gift my family and I do for my grandmother is have her over for a week during the holidays and just spend time and have laughs with her. She lives alone in her own house; so, we do all we can to make as much time for her as possible. You are absolutely right that giving your time is the greatest gift of all to an elderly person; hell, to any person you care about. Thanks for sharing this, Sharyn! Yay Dallas ~ I was SO happy to see you here. I hope you are doing well. I'm so glad you enjoyed reading this. Thanks for your feedback. You hit the nail on the head! This was a great write and something I enjoyed reading. Although now both dad and mom are gone, maybe my own girls will refer to this when the time comes for me for the perfect gifts:) LOL! Hello vibesites ~ Thank you so much for your compliments and follow too. Very much appreciated! Hello iguidenetwork ~ it's great to meet you. Thank you so much for stopping by and commenting. Hi Vicki ~ Thank you so much for your compliments. I'm so glad you stopped by. Your ideas are perfect! These are great gift ideas. I think the gift of time has got to be the best one! Great hub! Hi Sharkye11 ~ Really? I never knew that you are not supposed to give residents gifts if you work in a nursing home. I have only done home health care. Thank you for such great comments and compliments. Hi Stephanie ~ great to see you! Thank you for the compliment. I do love the idea of bird feeders too. And I agree that not only do the elderly need things that could be given as gifts that may make their life easier, but everyone enjoys being recognized. Thank you so much for your great feedback! Hey Tammy ~ I know, Christmas will be here before we know it. Thanks for your feedback. I'm glad to hear you agree that "time" is the best gift of all. Thanks for sharing too! Hi Cyndi ~ I would love to do what your mom did :) I really like the idea of a large number remote control too. I hope you don't mind if I add it to this hub. Thank you so much for your wonderful feedback! Hi vespawoolf ~ I'm so glad you enjoyed reading the explanations behind some of these gift ideas. Thank you so much for your kind feedback. Hi Kelley ~ It is difficult to know what to buy our elders yet I have no doubt that they too like to receive thoughtful gifts. I'm glad you liked these ideas including simply giving "time." Thanks so much for your feedback, votes and shares too. Beautiful hub! One of the things I hated most about the nursing homes I worked was that we were not allowed to give the elderly any gifts. And some of them would have really loved and appreciated some of these wonderful ideas. Especially things like slippers and blankets. They were always so cold. I love that your admiration and love for the elderly is so well portrayed in your writing. 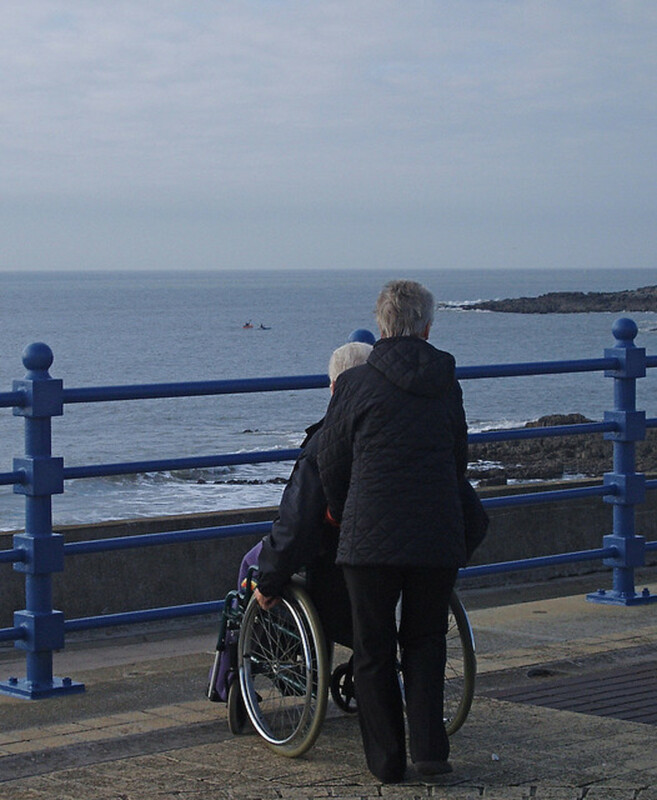 Your great gift suggestions show that you understand the needs of older people well. When my father-in-law was unable to navigate outdoors, he really did love to watch the birds at the feeder and even got a kick out the squirrels who came to steal the seeds. This is a great resource for people who think that the elderly don't need anything - there are some things that would enhance their quality of life. Voted up! Such excellent ideas! Hard to believe Christmas is just around the corner. You are so right, our time is the best gift for all our loved ones. Pinning and sharing. These are such sweet and thoughtful gift ideas. You are a gem! My mom always had a special spot for the elderly and started an assisted living center...in our house! :) But now, though I don't really work around the elderly, I definitely appreciate their wisdom and who they are - even if they're a wee bit crotchety. Hehe. Thanks for sharing these. Oh, and I recently got my mother in law one of those REALLY BIG remote controls because it's hard for her to see the regular size ones and it's hard for her arthritic hands. In any case, awesome hub! This is a unique and very helpful hub! 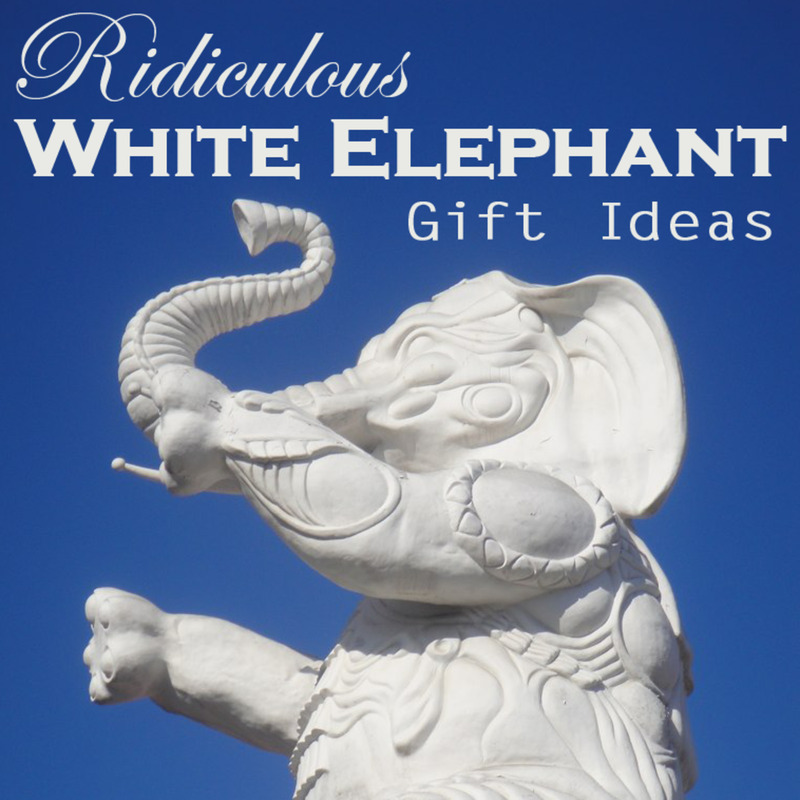 These are great gift ideas, and I enjoyed reading the explanations behind them. You have a wonderful gift and I'm glad you use it to help the elderly. Voted up and shared. Pamela ~ yes, I love working with the elderly. Time is one of the most important gifts you can give to an elderly person who may be lonely. You are right, it is so important to remember them all year round, not just at Christmas or other holidays. Thank you for your great feedback! How sweet that you work with the elderly. I have a soft spot in my heart for older folks. Like you say our time is the most important thing we can give them. They get churches and organizations visiting and bringing them things during Christmas time but they are forgotten the rest of the year. 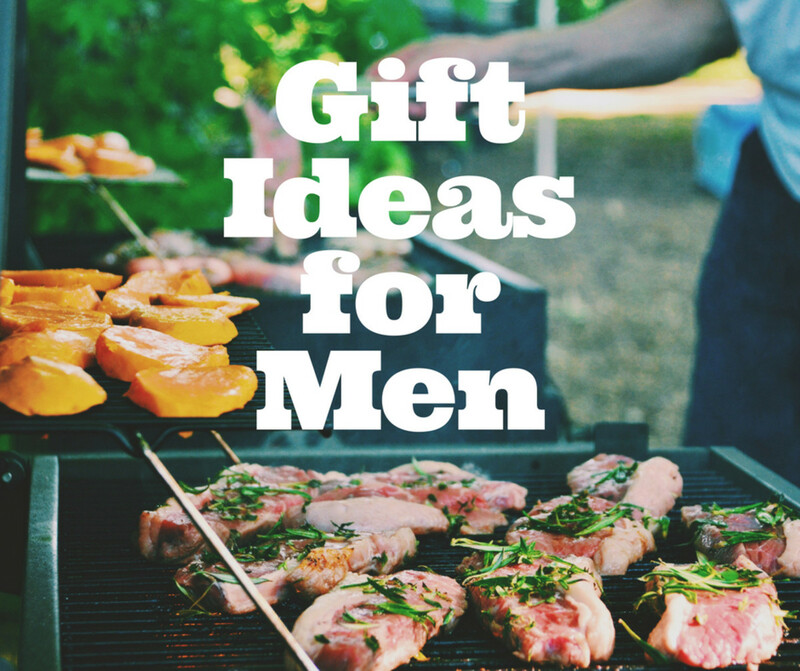 These gift ideas are good year round. You can always use these ideas for next Christmas. That's an interesting tradition. While I'm sure some principals and vice principals may received gifts here in the states, it is not a common practice. Thanks so much for stopping by. Wow, I wish I had read this earlier! I was stuck as to what to by the school principal and vice principal (tradition in Korea). I love this hub! I was very close to my grandparents, especially my grandmothers and I cherish the time I spent with them. Even though they have passed on, I still credit them for being there when I was growing up in the most important ways. And even for elderly people who I'm not related to, I definitely love spending time and hearing their knowledge and insight. Great job Sharyn! Thank you for your thoughtful comments and feedback. Giving the gift of time and attention is so critical to someone's well-being. I really appreciate your votes and fan mail as well. Happy New Year! Excellent hub Sharyn, the gift of time is one of the best things you can share with the elderly. Sitting in a nursing home all day without any visitors is very sad and lonesome. They so appreciate a visit and a kiss on the cheek and deserve some attention. Voted this hub up and awesome. Gosh, I hope you are not correct about the "endangered species :) I'm gonna be in trouble. Thank you for your sweet comments. I hope you are enjoying this holiday season. As someone who is rapidly becoming an old lady I found your hub very moving and immensely kind-hearted. And I hope to have half as much spirit as Jerrie ... what a gal! I'm glad you enjoyed this. Thank you for stopping by. Hope you are enjoying the holidays. Oh I loved this one and the video clip was amazing. The saying you are never too old 'comes to mind. I have to vote this one an up up and away. Thank you so much for your awesome feedback. I agree, touch and time are so important. I hope people realize that touch and time are the best gifts possible for the elderly. Thank you again my dear friend. Your love for the elderly shines like a beacon. You hit every single gift I would have thought of... without a doubt, the two most important are time and touch. These are the two that are free and the most easily overlooked, so thank you for the awareness raising benefit of this beautiful work.